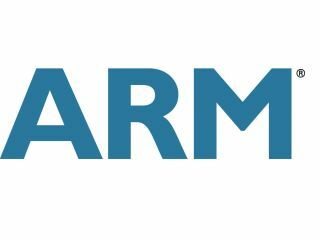 LG and ARM have announced a strategic partnership, which will see ARM Cortex-A15 MPCore processors and ARM Mali-T604 GPUs used in the next generation of LG mobile phones, set-top boxes, tablets and TVs. At the moment, the LG Optimus 2X and the LG Optimus Pad both make use of the Nvidia Tegra 2 chip, so this is something of a change for the electronics company, as it will be using the ARM license to create its own processors. "LG's relationship with ARM over a number of years has provided significant value to our overall business. In addition, the ARM ecosystem has provided LG with partners to help differentiate our product offering," explained Boik Sohn, VP and Head of System IC Center, LG Electronics. "The scalability of ARM processing solutions combined with the software ecosystem will enable smart, open platform systems, and drive connectivity and web enabled interactions." Sohn continued: "This new licensing agreement will provide LG with the next generation processor technology that will allow us to maintain leadership in display enabled connected devices, such as smart digital TV's and smart phones, and drive our platform strategy." LG has been using ARM processors since 1995, but the new agreement will see this technology built-in to more of the company's products. The agreement will make the likes of Nvidia and Qualcomm anxious, as they seem to be getting shunned by big-name manufacturers who are taking their system on a chip development in house.